"Apptivo: All-Inclusive Cloud App for Admin & Operational Success (CRM, Project Management, Billing)"
I like how detail views are available from most places; call logs, projects, tasks, notes can be associated with a contact or company or opportunity. Apptivo communicates improvements and changes on a regular basis, however, it takes Apptivo a long, loooooong time to integrate changes that have been requested by clients, and improvements overall. The incremental changes they report on are good but they are really things that should have been implemented 4-5 years ago. They are playing catch-up with many of these. An example of this is Stripe (payment gateway) integration. I requested it over and over about 3 years ago but it was just implemented last year. They could do better with customization (esp. dashaboards), reporting, data import, data export and speed. Also, connection to phone services (to take better advantage of the ability to log calls). Low scores on API/integrations and performance Reliability should be separated from performance because Apptivo is reliable, doesn't seem to ever lose information, etc. but it is often as slow as molasses in an ice storm. Waiting is a no-no; constant waiting is a annoyance that has made me close the app more than once and come back another time. Apptivo never, ever came up in comparison reviews when I was looking for my all-inclusive operations software. It is a hidden gem and once you know about it, you have to commit some time to work through the modules to see if it can benefit your organization. Don't be afraid to ask questions of customer support especially about features you need. I found that some things I thought were totally missing in Apptivo were available in the Enterprise version. All I had to do was ask. I was using Teamwork (formerly Teamwork PM) for project management, a local install of vTiger CRM for contacts and opportunity management, and myriad other cloud-based apps to pull together administrative activities. I wanted an all-inclusive software with strong project management features that also allowed me to handle detailed invoicing and allowed customers to click a link to pay. Lastly, the CRM component had to be at least as good as vTiger (or Zoho CRM which I'd also given a trial run). Apptivo satisfied these needs. I use it more for project management, opportunity management, field service management, and billing. "Good, free program for managing work tasks and schedules"
I enjoy the scheduling and task features on this program. It makes it easy to assign tasks and send event notifications to other staff members. Currently, I use it for myself to keep up with following up with church members, tracking events, and making sure I'm up to date on my weekly tasks. I also really enjoy that you can download a mobile app so you can keep up with everything on the go. It's a lot like Google calendar or Asana but you can be more detailed with the scheduling. It's a pretty simple program to use. The one thing I dislike is the inability to schedule re-occurring events and tasks. For example, as I attend weekly meetings and have many of the same tasks on a weekly basis, it would be nice to add those all at once without having to individually schedule them. There may be a way to do these things but I have not yet found a way. Spend some time getting to know the program before introducing it to other staff members. It is good to have what you need scheduled in before adding them into the tasks. Once they sign up, you can assign the specific tasks to them. Scheduling events and tasks and assigning them to other staff members. It keeps us more organized and gives us deadlines to work with. Before having a program like this, we relied mostly on group text messages and emails and would frequently get confused as to who was taking care of certain tasks. This way, we can log in and see who is accomplishing the tasks. I like that I can choose how to implement the software. With a little up-front customization, which I have completed myself, I have made the software straightforward and intuitive for the way my business operates. I don't need to adapt to suit Apptivo, it changes to suit me. The process for customization and up-front set up is not super intuitive. There was a pretty big learning curve with a lot of trial and error before I was able to really get rolling with setup and customization. Take advantage of any help that's offered by Apptivo for setup/training during the onboarding. There is a bit of a learning curve, and it's worth the time. Our staff work almost exclusively remotely, so having the centralized storage of all of our vital business information was key. Apptivo's integration with e-mail also allows us to retain customer communications in a really simple way when there is employee turnover. "Great customer support - but lacking some key features that I need"
Their customer service is awesome. They have a help button on every screen and, unlike most CRMs, this button pulls up a chat box, not a wiki or forum. Within seconds of a request a live operator responds and actually gives you real solutions. I was totally impressed the first time I used it and figured it was a fluke but I've used the support chat multiple times and each time a knowledgeable rep was there to answer my questions and help me try to solve my problem. I love the look of the interface but I don't like the inflexibility. For example, on the contact screen overview page you see all the contact info. Which is great....the first time you create the contact. But every time after that, I don't need to see all those details - I want to know what we talked about, what we are doing next, notes I've made, etc. Yes - you can see all that but you have to go to different tabs and each time you do that you have to wait. I'm sick of watching the loading graphic. There are currently no options to modify contact, company or home screens like you can do in Salesforce. The ability to customize these screens would be a deal sealer for me but when I asked about it the developers didn't seem to think it was terribly important. Instead they told me to use the NEWS tab. Do the free trial (with the enterprise edition) and put it through the paces. I think they say 30 days but you can also request an extension. The program looks great and support is awesome but you really need to try it out and see if the pros outweigh the cons. For me, I don't think they do. Which is too bad...it's so close to perfect. Managing my contacts, proposals and projects. You get an extremely large variety of modules (they refer to them as 'apps') for a reasonable price. I tried Workflowmax and various other alternatives before settling on Apptivo in 2016. None of the others offered the sheer range of integrated modules. If you work in a project oriented industry, you can handle the entire workflow: marketing campaigns, leads, opportunities, estimates, invoices, project management and so on, through one system. Add to this chat support - within the app - and it is very attractive. 1.) I was initially attracted to the notion of 'Wordpress plugins' which could integrate your website and Apptivo account. These include ecommerce and business plugins. Unfortunately they don't seem to be a development focus, nor are they maintained regularly. The plugins also have unusual requirements - such as TLS 1.2 - which not all hosting companies offer. I don't want to have to move companies just for this aspect to work correctly. 2.) Sometimes a bit slow. 3.) Would like to see a landing page app, perhaps an integrated hosting account, with wordpress apps, seo and other digital marketing features. 4.) Templates for estimates should allow more customisation, or perhaps work with Office products like Word and PowerPoint, as some proposals require more information than allowed in a simple one-page estimate. 5.) The knowledgebase 'answers' app could do with an upgrade. 6.) Project due dates are calculated automatically; unfortunately Apptivo does not take account of the hours available and comes up with unrealistic dates. Ideally it would allow you to indicate hours available per day for a project and take that into account. The key problems solved include: 1.) Not having to repeatedly enter customer / contact details. Enter once and convert through the stages to invoicing. 2.) Easy to find invoices for the accountant. 3.) I especially like not having to use separate systems for estimates and invoicing anymore. 4.) Automated reminders for late invoices - saves a lot of time - not to mention reduced awkwardness - as it is automated and you don't personally need to follow up with errant clients..
"Picky Sales Guy with an unique customer base"
I have been using Apptivo for a few years now. I research frequently to see if there are better platforms. While other platforms may have a few features that are superior, Apptivo has a suite of apps that meet my company needs the best. This way I don't have to have a CRM, and a separate program to be able to do custom estimates, it stores all my products which are many, in there and makes a real quick way to produce professional looking estimates with the customers' info all there. I would like to be able to add tags on an import in mass. I would also like to have a predesigned estimate. I send out both custom and standard products. So it would save time if I could have the standard products saved. If you are just looking for a CRM its good, but there are other options that are good, if you are looking for a suite to help run multiple aspects of your business then this is an excellent choice. I primarily use this for a sales and marketing tool, but product management we also use it for. We are a small company and I am more the early adopter for this stuff so I see us expanding its uses more and more. "Good CRM for a small business/startup"
It has easy setup turning apps on and off. It has connected features to Google and other programs. The price is a bit more affordable than other CRM's like it. There is online 24/7 help through the chat system. It's easy to choose your features. The functions aren't universal enough, you have to add the same information in Each App for them to be available. Example: Email Templates have to be saved in the Settings area for Each Menu Area ie. Leads, Contacts, Emails... you aren't able to just save it Once universally. Some of the reporting features are lost when you convert from Lead to Contact. I want to search a date range in Contacts but it's not there, only in the Leads area. It's hard to filter for a deeper search in the apps. Play with it for the free trial and if you want accounts connected you will need to pay the same fee structure for each. If one account has a Year subscription they ALL do otherwise they can't connect for work purposes. Keeps contact records of my leads. Has invoicing features and some automation for emails. "Versatile CRM Platform, Great Price, But Inconsistent Quality of Support"
Apptivo is a very comprehensive and versatile CRM platform at a great price. Its features are on par with other comparable CRMs, and Apptivo easily beats them when it comes to cost. Apptivo is inconsistent when it comes to quality of their support. The good thing is that you are connected to a knowledgeable project team. But the bad part is that it's off-shore support, and there are communication challenges. If you're considering Salesforce, or other similar (even more expensive) CRM options, make sure to give Apptivo a look. From a features standpoint, it will be very comparable to other platforms. And they win easily on cost. Just be aware that, if you sign up with them, you have to be very diligent with their support team. Our company needed a CRM in which to centralize our sales activity. Apptivo has provided us a solid platform that's user friendly and expandable -- they offer additional apps (included with their already low price) that can be used to augment your CRM efforts. Through our sales team using Apptivo, we have seen improved communication, and have gained better account insight that should improve over time, as the team continues to get more comfortable with the platform. "Decent alternative to Salesforce for small-sized business"
Apptivo's pricing and all the "modules" available for multiple departments (not just sales). In addition, Apptivo has e-mail tracking which helps managers have a pulse on their team's productivity. Their support and product development team are also very responsive to requests/issues. While it has the main meat and bones of a CRM, if you're coming from Salesforce, it will certainly be a mental transition. Apptivo's architecture is totally different, so you'll find yourself having to re-define what you thought certain features/fields should do. "Great features but a little slow"
I like being able to use it on my phone and computer. Setting up tasks with varying dates, projects, customers is my favorite part. The billing and invoicing is great for my web development side business. It looks professional, which is critical because I focus on small businesses. The interface feels a little outdated to me. Also, it runs slowly on the desktop version, which can be frustrating. I'm solving issues related to timelines and tasks on projects. I"m a real estate agent and I have a lot of steps in order to complete a transaction. Apptivo allows me to remember those tasks and plan them out. I really like the billing aspect for my side business as a web developer. "Great CRM! Especially for Gmail"
I really enjoyed that it was recommended by google and that it integrates so well with gmail. I was able to import the email address that i already had in my gmail contacts. I LOVE the project management area. I have multiple projects active at a given time and being able to see them in the same place and my CRM is great! I wasn't able to use the help desk but i liked that it was readily available and it wasn't an extra cost. When I was testing out the software I was having issues with uploading my client list i had exported as a csv. Some contacts weren't populating. Not sure if it was because i was missing an email address for the contact or if i had poor connection the few times i attempted. The pricing is good (now) if you are the only one using it. I like that it also has a project management area and help desk and at no additional cost. These features help to keep everything organized. Utilizing a CRM that integrated with gmail for our whole team and it was simple to use. I tested it for myself before deciding not to press forward. I realized that i liked having all of these features (CRM, help desk, project management) in one place instead of going to multiple companies. "Excellent for small businesses who are new to cloud solutions." The interface was very intuitive, as applications must be these days. The inline support team were excellent and very proactive. It was easy to get up and running and start invoicing clients within days. Scale-ability of the software suite. Easily adopt as few or as many plug-ins / apps as you see fit. I would easily describe Apptivo more as an 'ERP' than a 'CRM' as so many features are available. Support can be a little lacking on occasion. Not a major drawback considering the pricing, but can be slow to respond on occasion. Automated invoicing, proposal generation and prospect management, all within one interface. "Ideal for Basic CRM Management"
I appreciate that Apptivo provides a clean and straightforward interface for client relationship management. It's task management is not overly intricate, and it gets the job done. There could be more customization of menus, but this is more a wish than a requirement. Know your must haves and your wants. If Apptivo meets at least your requirements, then its a good value in most cases for the price. The support is also committed. Keeping track of important conversations and managing follow ups can quickly become overwhelming without a system to manage this. Apptivo has kept me on track when I've used it consistently. This is the most functional CRM I found with great customisation facility given to user. It is a bit tough to understand in one go but there are lots of videos and very good support available for your any issue faced. It is simple to customize and it has got great UI. It is ideal sort of tool to operate a small business. The main problem we faced was the website speed and problem in uploading information of leads which turns as a great trouble sometimes but yes I can give 5 starts to the customer support they provide for each and every problem you face. Also, one problem I faced was, I was unable to rename the app customers. if you are owing a small business and you want to operate your business with ease them this is an ideal tool for you. Its support is all time available to quickly solve your problem or at least to provide you support till the time your problem is solved. We as a small company provides support and services to various clients. It helps us to find new leads and show our abilities that what all we have done. It is very easy to be customized as per your needs and it is simple to understand the customizing process once you talk to any customer service support guy. "Apptivo has saved my small business time and money"
Ease of use, time sheets, invoice creation, CRM like software. I don't perform work by projects and lots of functions like approving time sheets are tied to the project structure. It's not easy to get a yearly total dollar amount billed to each customer and just for my business as a whole, that'd be helpful at tax time. It helps me show my clients how many hours I spent on each task thus justifying my bill at the end of each month. It helps me track which invoices are paid and which ones are outstanding. "Good for small business applications"
"Overall like apptivo but doesn't completely cover our needs"
That everything is located in one place and being able to customize features is very helpful! Client Invoicing is difficult--we're still sending out invoices through another software as we weren't able to customize the invoice enough for our purposes. Database & project managment. Makes it easier to manage our projects. "Simple way to keep contacts organized"
I like the way Apptivo allows me to keep contact records and syncs with my google acct. 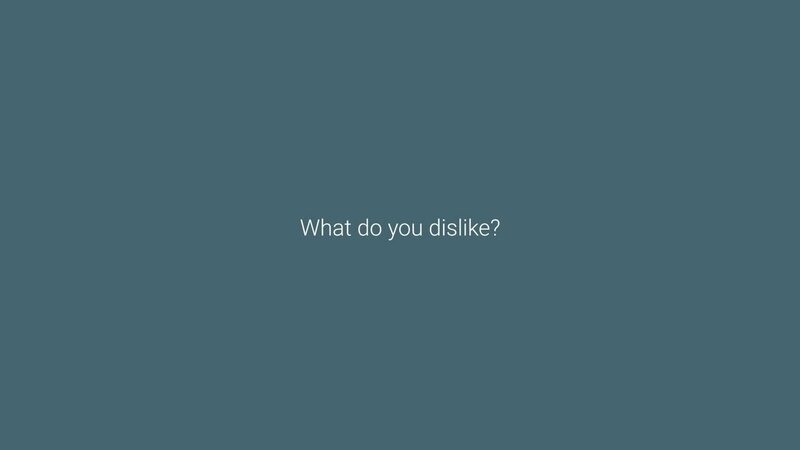 Not much do not like, occaissionaly there are syncing issues but support usually helps me resolve them. "One of the Best CRM's I have ever used"
"It Works but is a bit old school"
The Price and features were in our budget (we are a small agency). Plan on a long startup if you want to use it for time management and project management. The wide array of supported function, the ease of customizing, the 360 degree view, document storage. The paragraph text field editor (all apps), the speed of moving app to app. Great price performance compared to Salesforce and others. Company and contact management, invoicing, document storage. "Allows my company to stay organized with our clients"
The emailing invoices and receiving payments is my favorite feature of the app. Some of the other features are great, but they are a bit basic like the Ledger app. It is a bit too simple and takes too much time to input information. But it is still very easy to use and set up. It is difficult to input accounting info on the ledger app. It is great for emailing clients, emailing invoices, and having the clients pay through PayPal online. it has some good features but others features are very basic and need improvement. It keeps most of my business information organized including client info, task and calendar info, and financial transactions. It is all in one place. This is a good software to use to improve customer service as well as improving follow up time with customers. It has been useful for me to remember potential customers and when to follow up. The price. It is very affordable and easy to use. There are too many fields for the basic objects. We needed a billing solution that allowed us to produce professional invoices very easily. "Strong core functions with amazing flexibility"
Quick start-up, easily expandible, great linking between contacts, suppliers, vendors, and projects. Built-i email. Pricing is reasonable. Mobile app needs some improvement, it does access the core modules, but leaves out several of the modules we rely on. The email module needs more development, lacks basic that are necessary to allow it to be used as a primary email client. All project information together in ONE place. Very flexible in terms of over all look, what it does. Many user-friendly features. We are coming from ACT and utilized our CRM differently than the current Apptivo setup. We are also dealing with years and years of data to import. It is not always a smooth process, and it is very time consuming. We have just started using Apptivo so I think we will see more benefits and problems solved in the future. "Perfect for my organisation. Apptivo support is second to none. So adaptable!" What's not to like? From the first step in my evaluation is was easy. No restrictions, brilliant support and willingness to help. The CRM is the product I was searching for and it is so customisable compared to others I have looked at. Like many, my requirements were unique and the thought of spending thousands on custom software just wasn't an option. The Apptivo support team are superb, responsive and stick around to complete the task. Nothing is a challenge for them and they have exceeded all expectations. Value, features, support...it's all there. Try it...you have so much to gain and nothing to lose. Initially I thought there was a lack of documentation, but the help videos and answer pages are a great resource. When it came down to it, the online support was immediate and solved my need need for paperwork...which I later found. Just setup a trial and see what's possible. Watch the Apptivo videos, they're informative and relevant. See it in action and experience how simple it can be. Cost effective and scales with the growth of your business. The best part, if you get stuck or have a query...they're always there to help immediately. I have never had to wait for answers. As a charity using a variety of old legacy systems, our need was great for a more efficient way of managing our organisation and virtually no budget to achieve this, Apptivo was a lucky find! Our initial objective was to find a way to manage our contacts better but with the CRM being so customisable and the extensive list of other applications available, the list of benefits are yet to be realised fully. We started with Customer management and will implement invoicing and event management soon through the other apps available to us. "Does exactly what you want logically and easily"
Apptivo runs my business from end to end. From website integration with my website for leads to managing sales opportunities, delivering projects, raising quotes orders and invoices. i can even raise invoices on my mobile phone. All this for $10 per month! The features that I like best about Apptivo is the customization. You get to choose what apps to use. It's pretty user friendly and I really like the contacts and notes. The email app does not work correctly. It took me a couple days to figure out that my emails where not sending from within the program. Apptivo really helps keep me organized and keep up with my clients. "Apptivo - Keeping my invoices on track"
Apptivo is a very comprehensive software of which I use only a very small portion. It is extremely useful and very good value for money compared to its competitors. "Applies the elements of multiple CRM and other apps in one." Integration of Google and other CRM elements in one system. It’s not compatible with Active PBX and Winmo. "More than just a CRM"
Apptivo provides access to numerous apps for the same basic cost (CRM, Project Management, Product and Finance focused apps, etc.) It can be fitted to the specific needs of pretty much any company - designed for small businesses, it represents a close to an ERP solution, highly integrated, scalable, and cost conscious. What's also great is its customer support - a representative can be contacted at any time and it's always almost an instant support. Great CRM with even greater future potential as it continues to develop. Replacing current homepage with a dashboard featuring key company figures and trends could be an improvement (KPIs, summary graphs). Along with improved analytics, API capabilities should be expanded, which I believe is going to happen over time in any way as they develop. Collaboration and integration. With a team working remotely from each other, we found this solution to be a perfect "virtual office space". "Great support with a very comprehensive product"
The online chat help is superb. Very prompt regardless of time of day, and always understood - with suggested page links. No much as yet! Seems to more than cover our requirements. Take your time to spend learning how to customise the various modules. Application is easy and complete .My initial reason to checking this app out what because it is Google integrated. I can do everything from logging a call, creating a customer, to scheduling, attaching material allowing automating inventory, to suppliers, to invoicing. This is just a small taste to what you can do with the application. I use it for so much more! The application's server is a little slow a times. This is the only con for me. I literally am able to now group multiple departments into one software and cross reference. If wanted, I could work from home because it's web-base and continue on with my work. Though I take advantage of the billing and accounting this program provides, I solely, only use it. I use my information as a back up. Our A/P and A/R department uses a different program. "The best in class support.. Congratulations Apptivo and his team"
I loved the responsivness and the professionalism of Apptivo Team.. They are simply very professional and always supporting the best they can. As soon as you have understood how does the support works, you can relax and make sure you will get all the support you need.. If for any reasons they cannot solve the issue on the spot, they escalate in real time the issue to Engineering team and your interlocutor remains in line whith you while waiting their answer..
Guys you can be very proud about your support quality.. I do thank you very much..
"Good product, it is improving. " It is simple, friendly to use, it is improving. Some apps need polishing. Ie. Expense App is not good compared to other free apps in the market. The inventory needs polishing. Apptivo is Cloud based and more than a CRM. Apptivo is a complete small business suite of products at an inexpensive per user monthly price. Apptivo includes CRM, Project Management, Case Management, Billing etc., with seamless integration with Google Apps. Being everything is integrated across the platform you need to have your workflows planned out prior to using the platform. I don't recommend diving in without any guidance. I recommend Apptivo if you want a single platform to manage your business. If you prefer a best of breed approach Apptivo will have a lot of overlap. We selected Apptivo when we started the business. 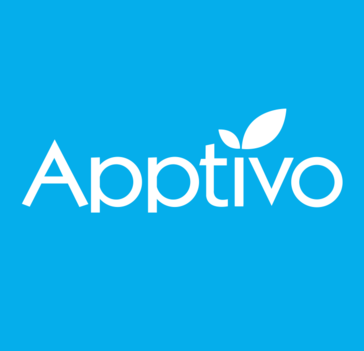 We needed CRM, Billing, and Project Management tools to run the business and Apptivo provided everything we needed to get us up and running quickly. Being Apptivo is a Cloud based application we were able to start with a couple users and scale as we grew with no upfront expense. Apptivo was a great choice for us as a start up. Being everyone in the company has a need to use Apptivo, we had a common place to see the business activity. It's a great and efficient CRM tool that requires very little effort to pickup and learn and is easy for integration amongst the staff. I have no complaints or disslikes about apptivo, its great. would definitely recommend this for small businesses looking for an effective crm tool. We've used the apptive CRM for several Project Management and Invoicing applications quite effectively. "Need an all in one CRM?" Can be a tad slow to switch between modules and clunky. Would like a more modern and easy to navigate UI. "Kani did an Amazing Job!!!" I'm just very happy that we can screen share so it's easier to see what questions and how and where to go so I can get my questions answered! The patience and the desire to help me get all my questions answered is very cool!!! I've got a website yet the emails where going some where but I'm not sure where. I'm so excited it's going in Apptivo now!! "Unbelievably well priced and versatile "
Newsfeed and inability to turn it off - need to keep certain matters private! First, the program is rather intuitive. But even more, when there is "ISH", Inevitable 'Stuff' Happens, their support team is online, responsive, and don't waste your time! Basically, a great program and great support service! I have no blatant dislikes other than the fact this required field demands 40 characters! Lead Generation. It helps me to organize the process. "Customer support is immediate and excellent"
Very intuitive software. Easy to use. Need to update their iPhone, iPad and mac apps. I love the way Apptivo uses a very familiar Icon/App method to deliver a very powerful software package. In my business I have many regular customers who i require scheduling and appointment booking, I think Apptivo can improve in this area. Great starting point, May need more development if intending to grow a large enterprise. Awesome solution for smaller business. I have a Automotive Mobile Mechanic business and I feel Apptivo is one of the easiest business accounting/CRM/ERP available. I can spend more time working on my business. it seems simple and well structured. We are in the implementation stage and it is still difficult to comment fully. "Good CMS with a number of features"
"User friendly and does the job for me"
* We monitor all Apptivo reviews to prevent fraudulent reviews and keep review quality high. We do not post reviews by company employees or direct competitors. Validated reviews require the user to submit a screenshot of the product containing their user ID, in order to verify a user is an actual user of the product. Hi there! Are you looking to implement a solution like Apptivo?